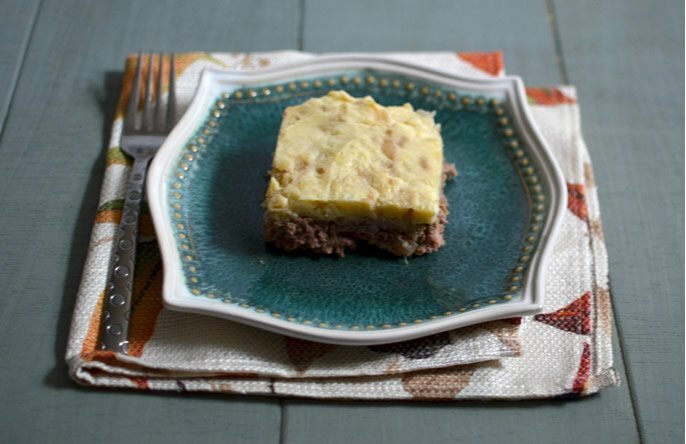 Shepherd’s pie, also known as cottage pie, makes for a delicious and filling weeknight supper. Serve it with salad or steamed green beans and you’ve got a complete meal. If your family members are meat-and-potatoes eaters, this one’s for you! Some may argue that this can only be called cottage pie because I used beef and not lamb, but since colloquially shepherd’s pie is used to refer to both, I am taking the liberty of calling it that. You may, of course, call it cottage pie if you prefer. First you'll need to fry up some onions. I find that adding fried onion to both layers really enhances the flavors. Next, peel and boil the potatoes until soft. If you want them to cook more quickly, cut the potatoes into slices before cooking. Drain the potatoes and mash while still hot. Pour in half the fried onion, along with the oil in which they were fried, and mix. Add salt and 1 egg, mixing well so there are no lumps. Set aside. Mix the ground beef with the other half of the fried onion, an egg and the rest of the seasoning. 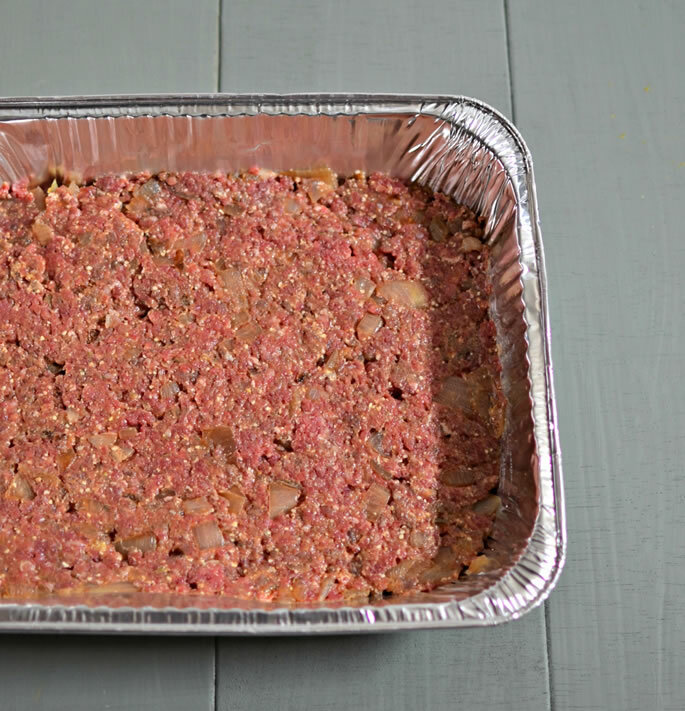 Press the ground meat into the bottom of a pan, spread the mashed potato over it and cover tightly with foil. Bake covered for 30 minutes, remove the foil and bake for another 20-30 minutes. Let sit for 10-15 minutes before serving. Stays good in the fridge for several days, and freezes decently too. Reheat either in the oven or in a frying pan. Fry the onions in the oil and 1 tsp. of salt, until nicely caramelized. 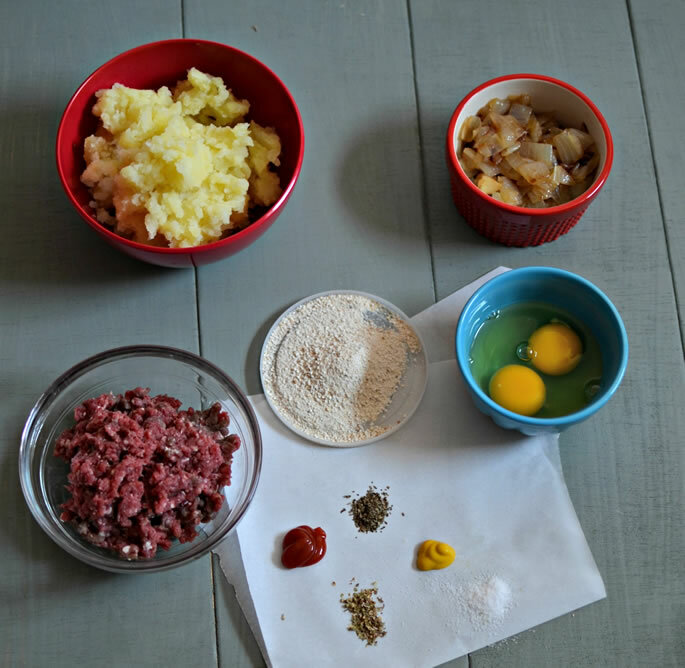 Mix the ground beef with the rest of the fried onion, 1 egg, matzah meal, ketchup, mustard, basil, oregano and 1 tsp. salt. Press down into the bottom of a 9' x 13' baking dish. Spread mashed potatoes over the meat mixture and cover pan with foil. Bake covered on 350°F for 30 minutes, then remove foil and bake another 20-30 minutes uncovered. Let the pie sit for 10-15 minutes before serving. Yields: 1 9'x13' pan - approximately 12 pieces. It's not the prettiest dish, but it's hearty and filling and great for cold nights. What do you put in your shepherd's pie? Any special ingredients? poultry :) We call it Farmer's Pie when we make it with Chicken and a layer of veggies tween the meat and potatoes. Close but no cigar... The hubby is British. I had no choice but to discover the quintessential pie. 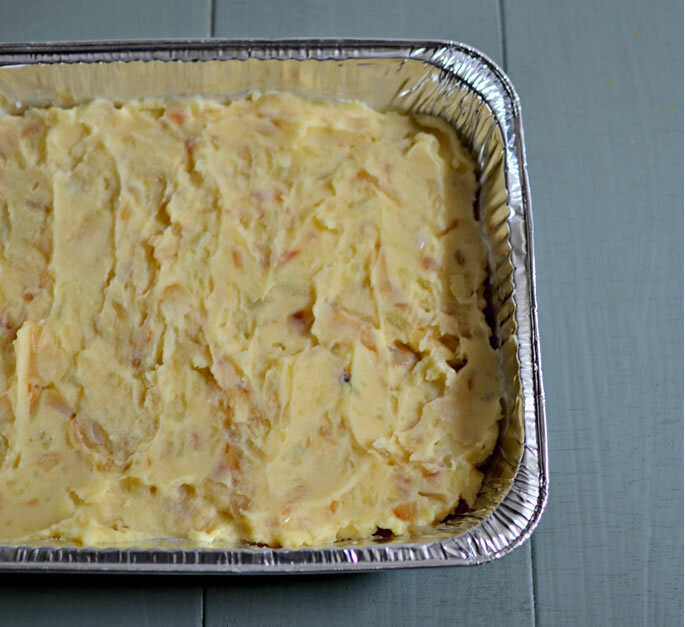 We call it Shepherd's Cottage Pie, because it has both ground beef and minced lamb bacon. There term Shepherd's Pie refers to cooked leftover meat (originally lamb). Cottage Pie refers to uncooked meat. A tin of chopped tomato improves the moisture of the finished product.